Our Sunday Meditation session consists of two 25 minute periods of sitting meditation split by 10 minutes of walking meditation, service, dharma talk, and tea. Both beginning and experienced meditators are welcome. Meditation instruction is available. Donations are gratefully accepted but not required. Chairs and cushions (zafus and zabutons) are provided, but feel free to bring your own seating. Please contact us for further information and questions. Once a month, on the first or second Wednesday, from 6 p.m. to 7:30 p.m. Zen 101 is a class designed for beginning meditators, those who are just curious about Zen, or those who want to refresh their meditation practice. 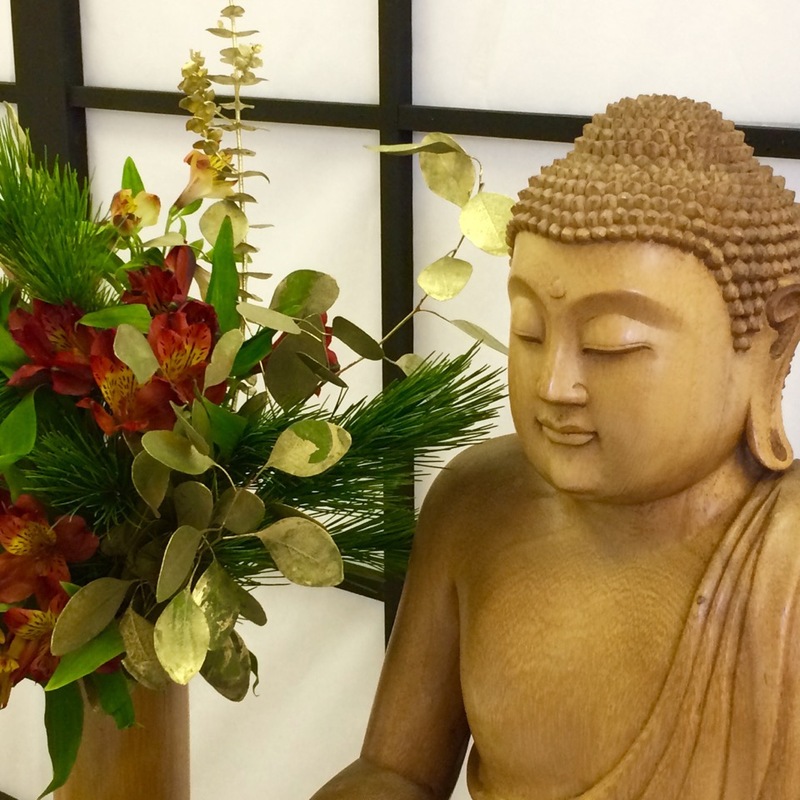 This class covers the history of Buddhism, basic zen teachings, and meditation instruction. Tea and snacks are served. Suggested donation: $10. Once a month, usually on the second or third Friday, beginning at 7 p.m. We show movies with a range of Buddhist themes. Tea and snacks are served. Seating in chairs and floor cushions is available. Suggested donation: $10. Space is limited, so please RSVP to myogomacneil@gmail.com. Two internationally certified NVC trainers from NVC Santa Cruz (nvcsantacruz.org) will present an experiential workshop for participants to learn this powerful system by increasing awareness and integrating new skills to augment out natural wisdom and compassion. Kristin Masters is a facilitator, mediator and coach with NVC Santa Cruz. Kristin focuses on social change/justice, inner work and the intersection of NVC with interpersonal neurobiology. She values teaching NVC applications to personal and systemic challenges with engagement and creativity. REGISTER: online at https://www.bodhioakzen.org/event/compassionate-communication-workshop/ or by printing the registration form and sending your check to Bodhi Oak Zen Sangha, 40879 CA-41, Suite 1-I, Oakhurst, CA 93644. For further information: 559 642-7470.